We are a local family business established 2016 in Dorchester hoping to make a difference, Brenton has worked in the industry for over 20 years. We all rely on our cars be it social, work, getting the kids to school, if they go wrong it can all become very stressful. At Kane Autos we want to relieve the stress by offering a very cost effective, fast and friendly service. We guarantee no hidden costs, we will make sure you leave us happy. Because Kane Autos works as an independent garage, we can provide very cost-effective car repairs in Dorchester at a fraction of comparative main dealer prices. By remaining independent, we are able to offer our customers a superior level of automotive excellence at competitive prices we always aim to deliver quality workmanship using the latest trade practices to ensure your vehicle is always fully maintained and in safe working order. 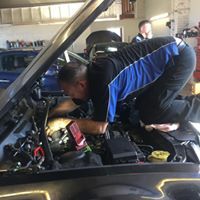 Brenton has undergone advanced training with the latest trade technology to bring you a full range of engine management and diagnostic services. We are now proud members of Check a trade – where reputation really matters. 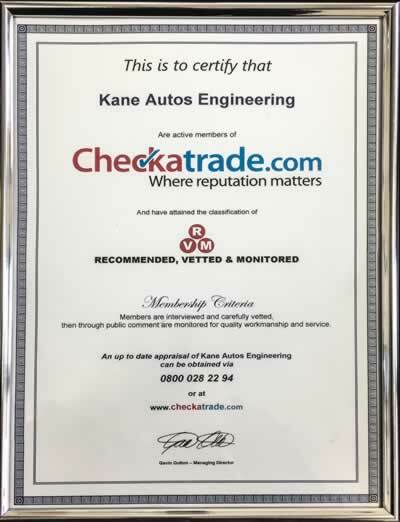 Kane Autos do not carry out MOT’s on site at present, however we are more than happy to arrange MOTs through our approved MOT partners. This can be arranged to coincide with your service, and includes transport of your car to & from the test centre. We will give your vehicle a pre-MOT inspection before it is tested, avoiding unnecessary retests for avoidable failure points i.e. bulbs, wiper blades, washer fluid etc. The Free winter checks we carry out (tyre pressure and antifreeze check) and Free summer coolant check etc.